MBC drama The Moon that Embraces the Sun (The Sun and the Moon) which breaks its own highest ratings record finally lives up to expectations, becoming the highest rated program for the week. 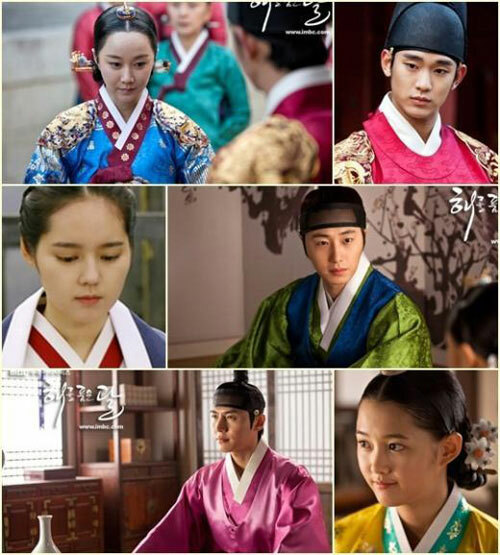 According statistics from AGB Nielson media research company, among the programs aired from January 16th, 2012 to January 22nd, 2012, The Moon that Embraces the Sun is ranked as the most popular show with the rating of 27.1%. Following right after The Moon that Embraces the Sun is KBS 2TV weekend drama Ojakgyo Brothers that topped the weekend drama with 26.3% rating, but ranked among all the programs of the week at second place. KBS 1TV Only You (My One and Only) crowned as the champion for weekeday drama, and ranked 3rd for overall weekly ranking. The Sunday variety show Gag Concert ranked forth among all programs with ratings of 18.7%, and is the most popular variety show. The natural and vivid interpretation of child actors in The Moon that Embraces the Sun has attracted a large base of audience. From January 18th, 2012, Han Ga In, Kim Soo Hyun, Jung Il Woo and other adult actors started making their appearance, opening the second act of the drama.